Enjoy Massive Savings During Our Halloween Sale! Enjoy Massive Savings During Our Halloween Sale! Enjoy Massive Savings During Our Halloween Sale! To celebrate one of our favorite holidays we’re having a Halloween Sale, and with prices this low, they’re almost sinister. Visit the Aspen Grove Studios shop and grab 40% off of all of our premium products (excluding the UltimateDivi Bundle), as well as a whopping 50% off of Divi Ghoster. 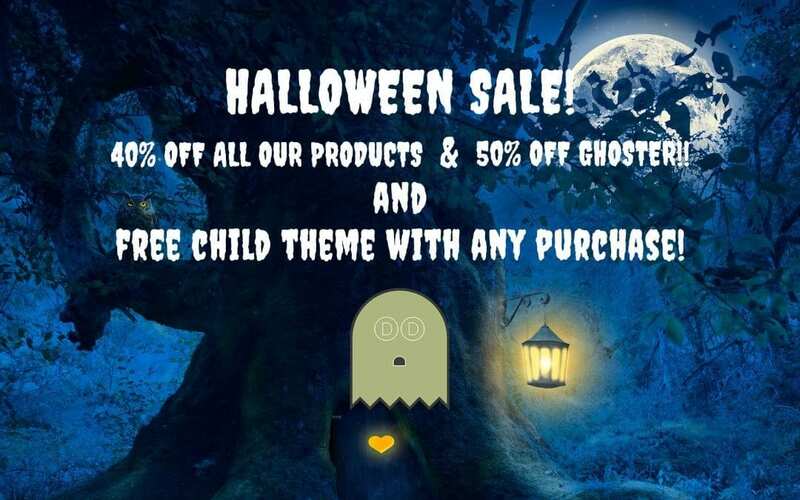 To make our Halloween Sale even more special, we’re giving away a free Divi child theme with each purchase! 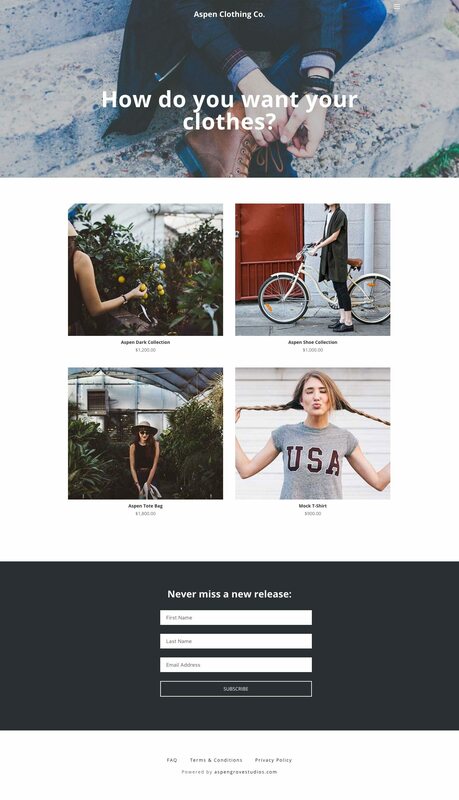 WooCommerce ready, Aspen Clothing Co. is a beautifully designed Divi child theme that is perfect for any business or brand that’s ready to take their business online. View the Aspen Clothing Co. Demo! Visit the Aspen Grove Studios Shop and browse our sale items now! Previous post Spoiler Alert: We’re having a Black Friday Sale!